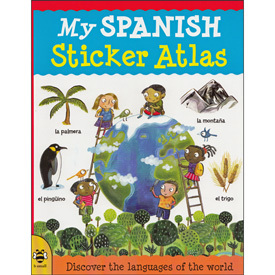 My Spanish Sticker Atlas is a fun language learning sticker activity atlas. Learn about the world and its languages whilst learning Spanish, too! Colourful maps of the main regions of the world feature countries, oceans, rivers, lakes and mountains labelled in Spanish. Get to know the main languages of each region and answer simple quiz questions. 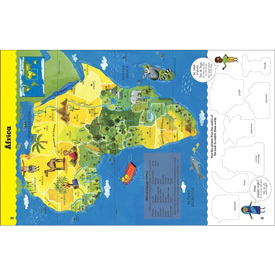 My Spanish Sticker Atlas is aimed at Spanish beginners, aged 6 and upwards.